← Happy Birthday H.P.L. Part 3 – Panel Bonus Files! There’s Now A CthulhuWho1 YouTube Channel! 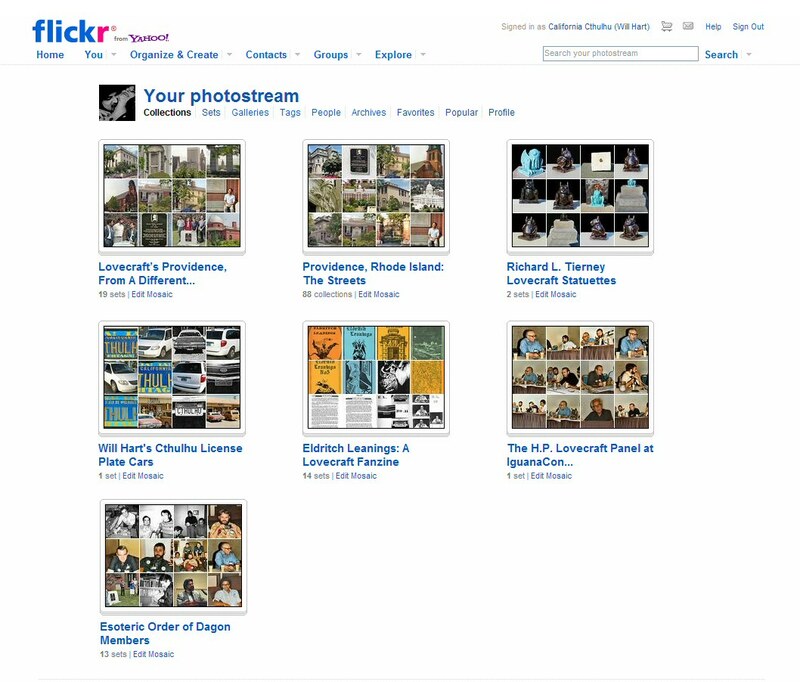 First there were the CthulhuWho1 photo collections on Flickr! Then there was the CthulhuWho1 audio and updates blog! And now there is the CthulhuWho1 YouTube channel for videos! Check out the first “video” from CthulhuWho1; actually a visual version of “Fungi from Yuggoth,” using H. P. Lovecraft’s words, his spelling. and even his handwriting, by way of the Lovecraft Cursive font from the H. P. Lovecraft Historical Society at cthulhulives.org. 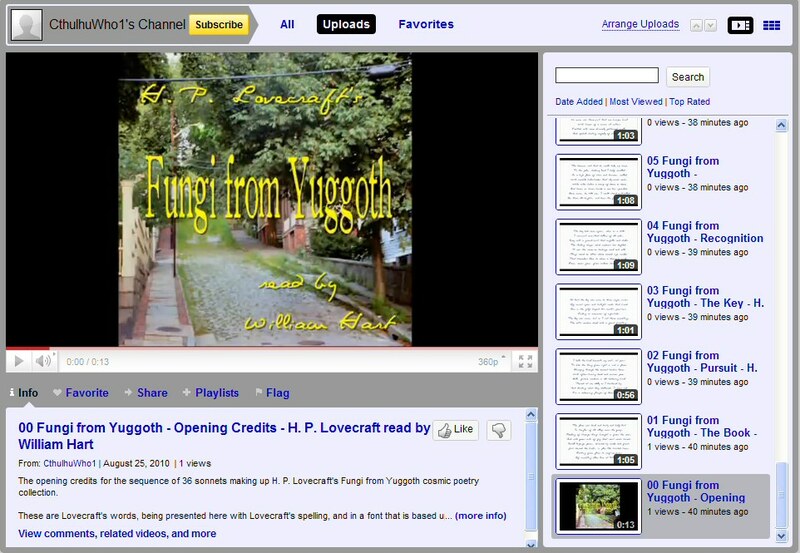 This entry was posted in Fungi from Yuggoth, H. P. Lovecraft, H. P. Lovecraft Updates, Poetry, Readings, Video, William (Will) Hart, YouTube and tagged CthulhuWho1, Fungi from Yuggoth, Lovecraft, Video, YouTube. Bookmark the permalink. 2 Responses to There’s Now A CthulhuWho1 YouTube Channel! Cool idea. I’ve only listened to the Intro and the first one, so far–great! I just did a video comment on your wonderful reading of “Nyarlathoep”!! More videos! There is no end to the madness you can spread world-wide!! !